I spent the last three days thinking it was Friday. That makes for quite the confusing week, let me tell you. I just felt tired all week. I was planning on having a booth filled with delicious baked goods at the market this Saturday, but lacking the motivation early in the week meant I had to make a decision early on. I opted for no market, just some time to gather my bearings for many projects and collaborations on the horizon, and getting my act together planning little dude’s 3rd birthday party. Oh my. He’s going to be three soon! That’s wild! I was completely excited to get a little package from my pal Yas who runs the beautiful Quill & Fox with her husband. 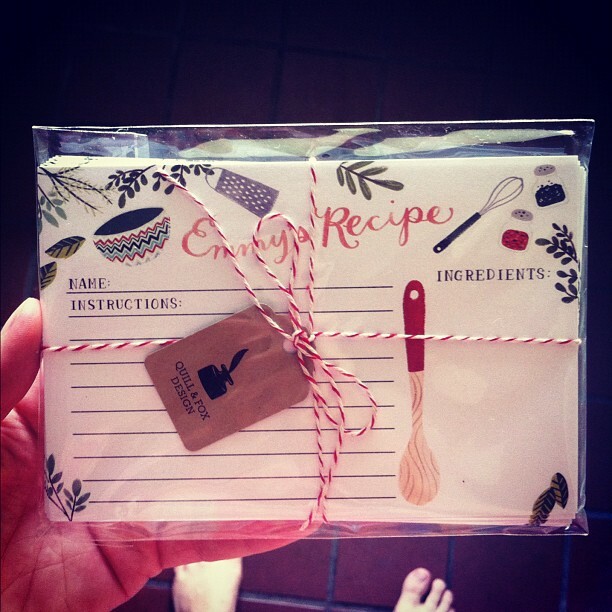 I am jumping for joy with the recipe cards in hand, and for some fun collaborations we have coming up! My friend Sarah’s blog The Rusty Raccoon is a beautiful account of her journey as a single mama. She’s a beautiful writer, and her little Shoshana is one precious little lady. This post from Katie’s Pencil Box about her son playing baseball is adorable! Her blog is always beautiful. After reading this and this I’m ready for a trip to Iceland. Thanks, Nikole – I adore this song! It’s the perfect soundtrack for summer nights. Happy weekend, all! I look forward to a relaxing weekend with no real plans. That’s always nice to have in these busy summer months. Thanks so much for the shoutout Em! I had an idea for your blog once you’re done with Tartine. What if it was “The Year of Pleasures” and each day you did something different that was consciously pleasurable to your senses or your self or someone else? It’s a little vague and/or cheesy but it just popped into my head so I’m popping it into your head. The end.